Neonetics Ford Mustang Junior Neon Sign 5SMLFM - California Car Cover Co.
Neonetics neon signs have a warm mesmerizing glow, and are powered by industrial strength transformers, which operate silently and more efficiently than incandescent bulbs. 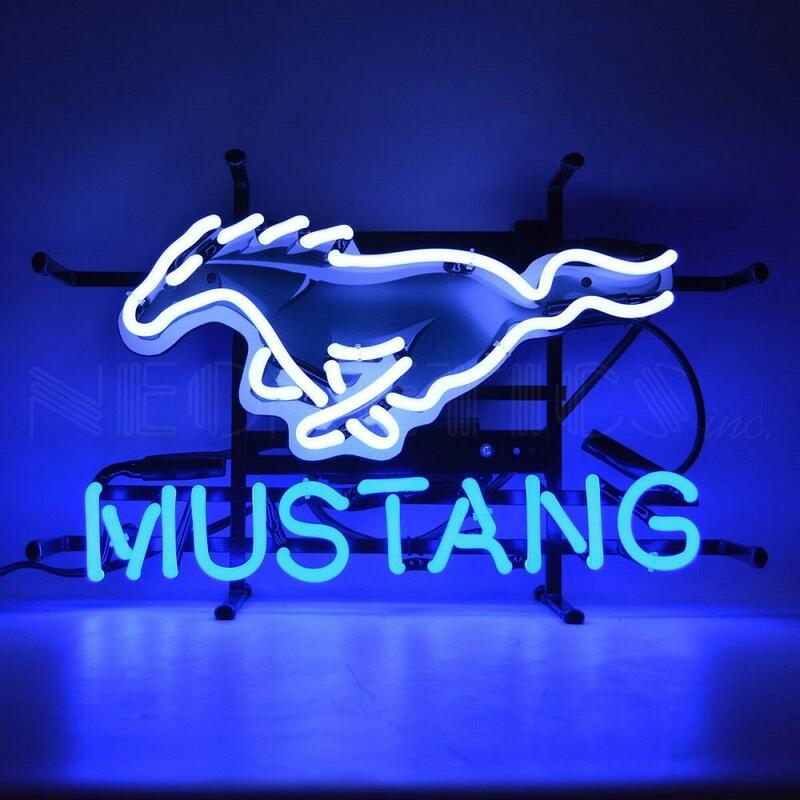 The Neonetics Ford Mustang Junior Neon Sign features multi-colored, hand blown neon tubing. The glass tubes are backed by a beautiful full-color image, and the entire sign is supported by a black finished metal grid. The sign can be hung against a wall or window; they can even sit on a shelf. All you do is hang it up and plug it in – no assembly or special wiring required. Give your home, garage, basement or business the fabulous glow of real neon by Neonetics.